How harshly do you judge yourself? With all the hype on diets and the focus on being Uber thin, how do you feel about your body right now? Do you focus on one or two things that you don't like? Maybe you try to avoid the mirror altogether, like I used to do. Do you ever feel gratitude? Thankful that you have the body that you do have? I am grateful that my middle-aged body is still in one piece. After all the crazy, hair-raising stunts I have attempted throughout my life. Just imagine, I moved to Colorado and discovered some extreme sports - like skiing more than 60 days my first winter season while attending the University of Colorado. Other than a couple of nasty falls on the slopes and the inevitable ride down the mountain in the sled, I have mostly succeeded at these crazy endeavors and I'm grateful that my body is still in one piece at 55. 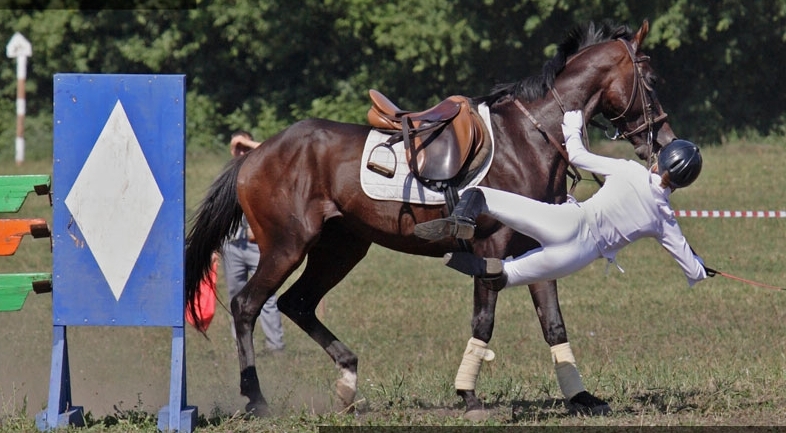 I suffered a couple of concussions from sailing into a fence when the horse I was riding refused a jump - - - even with a helmet on, you fly right over the horse's head and right into the fence. Then there was the time I rolled my RAV4 on black ice and I walked away without a scratch, the knee surgeries from skiing, the broken foot and back surgeries that I got through. But there was a lot more close calls with their accompanying bumps, bruises and recoveries. I am grateful that my body heals well. Even at the ripe old age of 55, I still struggle with accepting my body as it is. But I have grown a lot more grateful about my general health and wellness to focus on being critical. I am currently enjoying gaining fitness, but I'm not so focused on SIZE. A negative body image can happen to any of us, in all phases of life. 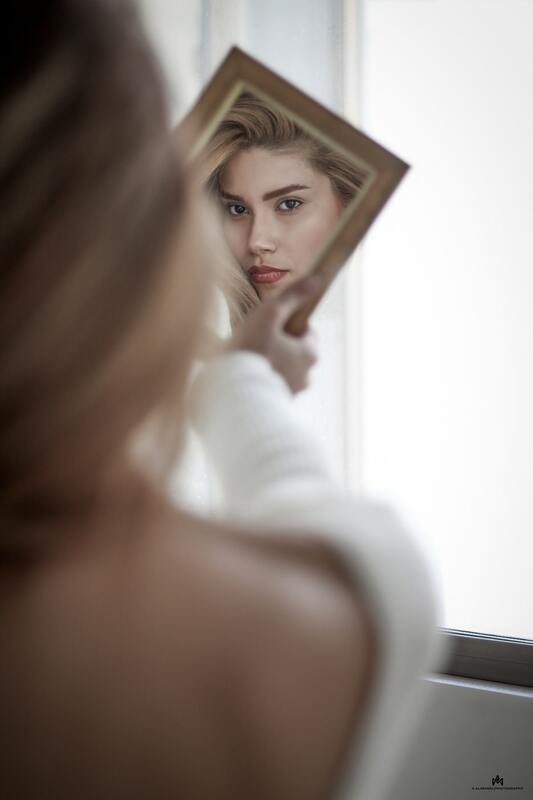 Once considered a problem isolated to young teen girls and young women, the effects of negative body image affects our thoughts and our confidence level throughout our lives. My struggle with body image started very early in life and has left me with scars to this day. I was literally born overweight [and two weeks late]. At 10 pounds, 3 ounces, I was literally born overweight (and 2 weeks late). Back then, they still thought it best to let nature take its course, so expectant mothers weren’t induced into labor as they do today. Back then, babies came into the world when they wanted to, as long as it was within two weeks of their scheduled due date. When I finally arrived, I looked like an angry overbaked chimpanzee, covered with black hair and screaming bloody murder. My baby pictures are not cute. Quite literally, my body image has been a little off for as long as I can remember. I, like most of us, have experienced times when I was overweight. I struggled with my weight as I hit puberty and into my teenage years, when many women form their self-image. I struggled with body paranoia for many years. The media’s focus on female perfection only fueled my self-doubt and body paranoia. I tried every new diet that hit the headlines, too many to remember. I was a sucker for the promise of a solution, whether it be pills, a fad diet or whatever crazy gimmick they came up with. Everywhere I looked was someone touting how wonderful it is to be thin. Each one had a different version of beautiful and a completely different path to follow. These days I’m committed to maximizing my health and wellness – not on fitting into a size 6. (Although that would be nice.) At 56, I’m on the ‘back nine’ of life, so I want to protect my joints and keep my weight down. Love my body, love your body, love everybody. I see an important trend towards more realistic examples of diversity inside mainstream media today. It needed to happen, our society’s view of women went from a voluptuous vixen like Marilyn Monroe in the 1950 and 60s - a size 12, to the waif-thin model trend starting with Twiggy and in the 1960s. Thankfully, today we see disabled people and minorities pitching wares on TV commercials. To me it signifies acceptance of all– whoever and whatever that individual may be – black, white, gay, straight, married or single. I think it’s about time! The following 10 tips helped me to get over my body shame and start genuinely appreciating and nurturing this life vessel I inhabit. Hopefully, with time and practice you can too. 1. Avoid all offending media. We all know our hot buttons, whether it’s a magazine headline or those oh so beautiful bodies they show us! What we read and watch has a huge impact on how we view ourselves. So, I stopped reading glamorous magazines years ago, I try to avoid trashy magazines. The articles are all the same and the models make me feel old and fat. Which I am next to them. I am particular about the magazines and websites I look at. Fashion and gossip media are right out. I avoid TV programs except for very few minor exceptions. I avoid ads. 2. Consciously seek out media that reinforces positive self-image. I gravitate towards travel, wellness and entrepreneurial media and magazines. Since I feel it’s important to move your body every day, I focus on meditation and yoga and healthy images of active women. 3. Stay away from shopping centers and department stores. Those places are insecurity dens. Everything from the lighting, to the music, to the shiny floors and the golden ratio clothes mannequins is designed to make you feel old and inadequate. It’s a highly successful form of manipulation. Shopping centers aren’t only sucking your money, they are also sink holes for body confidence. 4. Avoid conversations about appearance. Whenever someone starts to talk about the way they look in a disparaging way, I deflect. I prefer to focus on how the person is feeling. Have they been sleeping well? Have they been feeling fitter and stronger since they started exercising? How are their energy levels? Getting caught up in a conversation about the way someone else looks, whether they have put on weight and so on, inevitably leads to thoughts on our own appearance. Some people tell me, ‘It must be nice that you can eat anything you want’. Meanwhile I’m thinking that I still need to lose 15 pounds around the middle. Meditation is an incredibly effective tool for clearing away unhelpful thought cycles. 10 minutes. 5 minutes. 1. Whatever. Just sit, close your eyes and breathe. If you want, you can breathe on a body acceptance affirmation such as “I love and accept my body just as it is right now.” If you’re like me, there are several APPs that walk you right through the process, including how and why you need to keep it up. The one I use is Headspace, in the APP store. For me this means, mostly vegetarian. Some dairy and fish whenever you want. I have tried every diet in the book and I am over it with counting points, obsessing over fat grams, the whole nine yards. As a vegetarian, I seem to obsess less about my love handles and more on my health. At least I try to. People who have purpose are too busy getting stuff done to worry about how they look. I had to figure out a way to run a business out of the house and working towards a brighter future. In the end, those of us with a passion tend to live the longest and happiest lives. And that is is far more satisfying than making sure you look good in an outfit at all times. 9. Make permanent changes that you can live with. One by one. Step by step. First, I gave up soda. Diet soda, to be specific. I was addicted to the carbonation, so when I learned how unhealthy diet sodas are, I had trouble weaning myself off. I would go to the carry home heavy bottles of seltzer. For years, I did this!! It created a mess, it’s terrible for the environment and my water is free. Buy a Soda Stream and carbonate your own water. It’s cheaper, and a lot better for the environment. 10. It all else fails, consider a procedure. But only after everything else! And research the equipment and your service providers to make sure they both have high marks. If it makes me feel better, I’m all about some of these new non-surgical procedures can help shape trouble spots. And there’s a few that I have already tried 😉. My final word on the matter is that having a positive self-image is a habit, something you can continue to work on. I don’t always feel great about every aspect of the way I look, but if I’m feeling less than supremely confident, I pull my shoulders back, hold my head up and fake it ‘til I make it.